Previous Is Your Brain an Orchestra or a Computer? You’re quite welcome, Jeanne! Enjoy! I have been looking for a recording of this song for a long time. Thank you for posting the song. Is it possible to download the song (or the record) from a web site? My kids love this song and so do I! I thought I was the only one who remembered this song as a kid. It’s nice to know it was such a hit. Thank you for the download so we can listen to our heart’s content! I would love to teach this to my kids. How can I download it? Can you email it to me? Im so glad this song is still around. It took me sooo long to find it and to hear it again. Its like visiting my kindergarden class again..
hey where can i dowload this song because it rocks! Glad I didn’t have the only crazy music teacher who taught us this song! I don’t remember the exact year I learned it, probably 1985! Now I’m 33, teaching it to my 6 1/2 year old! Does anyone remember the story about the monster with one big eye that just blinked? 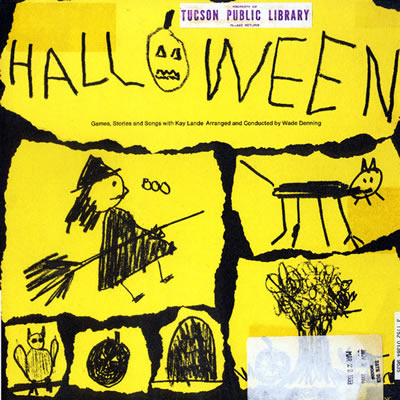 Music teacher use to play it every Halloween in elementary school. Thank you! It’s called “A Weird Happening,” and it’s on the same album: Halloween: Games, Songs and Stories (Golden Records, 1969). I have that track as well as Little Orphan Annie (from the same album), but am searching desperately for the whole album (either an MP3 download or the physical album itself)…..sadly, I haven’t had any luck yet! what is the music that goe’s with this? like the tune? i heard it on a commercial recently for a car, and it sent me back to grade school. we sang this every year at halloween for the whole school, we also watched a play, or dance with this music as the song with skeletons and bats and stuff, i just love it!! !